Seasick Mama is the alter ego of Marial Eve Maher. A woman that defines complexity is a singer, songwriter, performer and model with her very own unique style, laid back look, a cool full sleeve tattoo, and long mermaid hair adding to her stage performance. 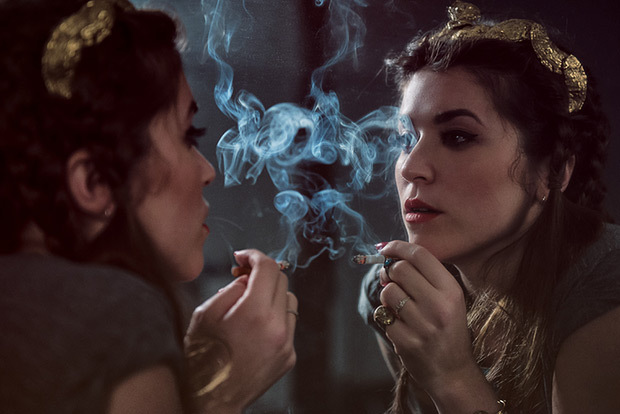 Making her debut in the music scene this past February with “Dead Like Money,” indie-pop artist Seasick Mama just dropped her second EP, “Tip Top Shape,” in November -an album so experimental it’s hard to categorize. In a grungy fusion, her pop, rock, electro, and at times reggae sounds, mesh with her own influences that range from funk to punk, to disco, pop, dub and blues. Naturally averse to putting any kinds of labels in music, she likes to refer to her own as “intellectual pop.” And it sure is music worth listening to. Seasick Mama of Brooklyn, New York, visited Chicago in late February, compliments of her Kickstarter campaign that has been running under the statement, “My new album, ‘Tip Top Shape’, is about becoming a better woman while breaking the rules. Send me on a musical journey, near and far.” On an almost private, early Sunday show near Chicago’s Southside, Reggie’s Music Joint filled up with heartbreaking velvety, yet powerful and raw sounds. Listening to her, some might recall the early days of Gwen Stephanie. Seasick Mama is experimenting with different pitches and tempos while old school punk pop and rock sounds masterfully blend together with the wave-like, rhythmical moves of her body on stage. Her mesmerizing vocals and dazzling riffs travel her audience to times past, where good and weird music like that, could only be found in the most innovative underground scenes. 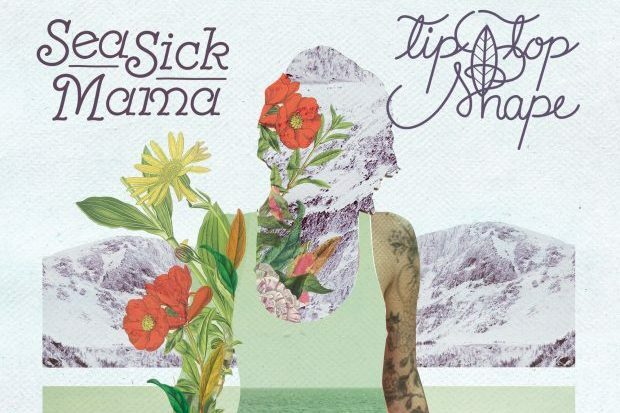 Spending months in the studio with contributions from producers Dave Sitek (TV On The Radio), Peter Wade (MDNR), Sam Farrar (Phantom Planet), Mark Turrigiano (Lissy Trullie) and Joel Shearer (Pedestrian), “Tip Top Shape” is Seasick Mama’s most ambitious release to date. Fuzzy, grinding guitar riffs and mix with sounds haunting and smooth at the same time. Embracing pop-punk sensibility with any variations imaginable, Seasick Mama delivers a mature, thoughtful album where each song stands on its own supporting it with high energy hidden in both her wild grungy on-stage self as well as her sweet off-stage presence. With an edgy and highly distinctive sound rich in influences from all around the music scene, Seasick Mama is here to stay and her first two EPs are just the beginning. Pushing all kinds of artistic boundaries at once, she has all it takes to be the next big thing. Seasick Mama is pure rockstar material, and she’s not going to settle for anything less that that.